Anil Gupta is a developer and resides in Ahmedabad, India. Anil and Aslam Multani started a company called Multidots in a rented apartment, two old computers, bad internet service and turned it into a company that now employs over 100 people worldwide and delivers professional web and mobile solutions. Anil has a great philosophy towards the company, clients and crew (employees). You can read about the company and their relationship ideas in a Linkedin post that Anil posted HERE. 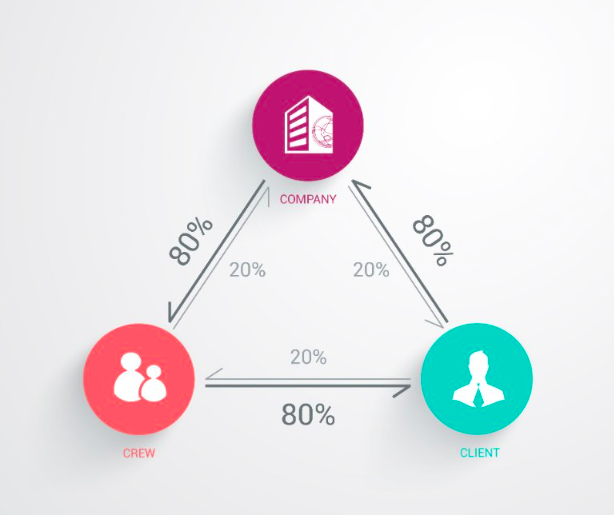 At Multidots we have this engine which shows how these three “C” (Company, Clients and Crew) are connected and responsible. There are three entity in the business – Company, Clients, Crew (Employee)! We really need to align them well. It would not only help company to grow and get better success but would help client and employee to achieve their goals and satisfaction. Anil and his partner encourage employees to become involved in WordPress and to give back to the community. Chetan is one of the team members that contributed for the recent release of WordPress 4.7, Chirag Patel is a Polyglots Team Editor and took part in the Global WordPress Translation Day 2 and as I had mentioned before, Nirmal Desai is an active member of the WordPress TV Team.